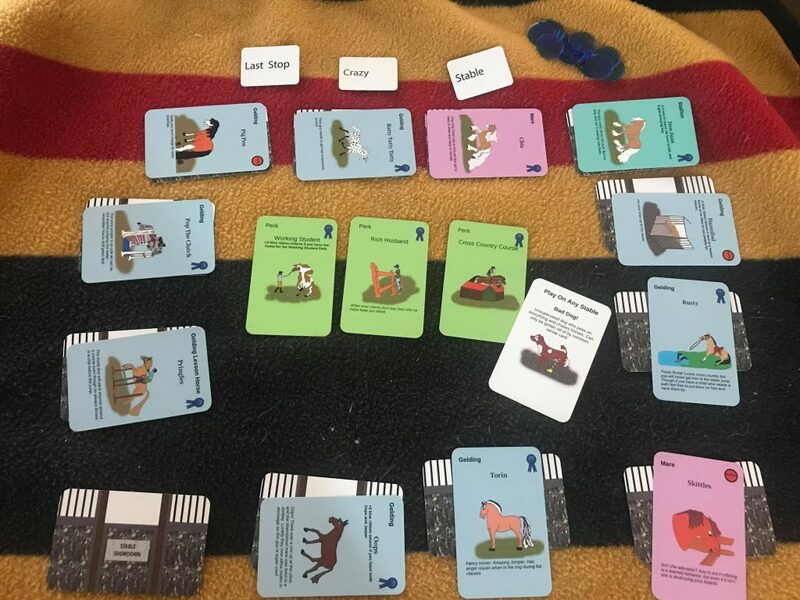 Our unique horse game now has better tokens! You spoke and we listened! 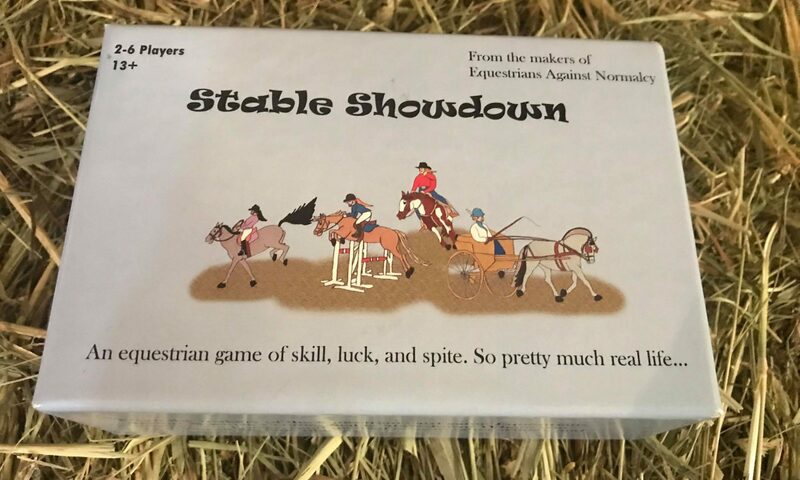 The unique horse game Stable Showdown now has easier to use blue ribbon tokens. Gone are the paper ribbons. Now there are easy to handle hard blue plastic tokens. We however didn’t stop there! Now it is even easier to identify what each card is with wonderful color coded backgrounds. What isn’t there to love about the new colors on the cards? 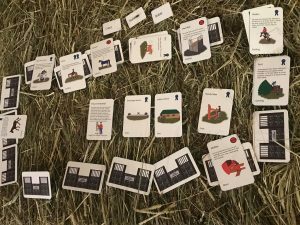 Pictured are the new cards, tokens, and an example how to set up your stable. Stable Showdown is available for purchase! Bringing you all the excitement of running your own boarding and training facility without the bankruptcy and resulting mental issues. Stable Showdown is for 2-6 Players ages 13 and up. For more fun make sure to follow us on Facebook for giveaways and more! Stable Showdown brings all the fun and insanity of the horse world to your house, office, show, and more. Designed to be played with 2 or more players and for ages 13 and up. Make sure to keep an eye on our Faceboook page for updates on the game, when we are looking for testers, and even more importantly when you can order and join in on the fun!